If you want to add some text to an image and make it more interesting than just flat text, try adding a drop shadow. The drop shadow is made using a filter that comes with GIMP. 1. Create a new canvas in GIMP. Select the text tool, and add some text to the canvas. Make sure to choose your preferred text color, font, font size before going any further. This tutorial is using Comic Sans Bold, in black, 100 point font. 2. Click on the new text layer in the Layers window to work with it. 3. Click on the “Filter” tab in the menu. A drop down menu will appear. 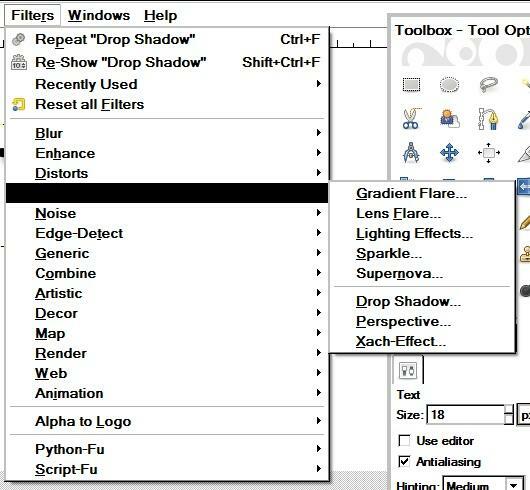 Hover the mouse over “Light and Shadow” for an additional submenu. Click on the “drop shadow” filter. A new window will appear. 4. Choose your preferred settings for the drop shadow including its placement, opacity, and color. This tutorial is using a grey drop shadow set to 100 percent opacity. 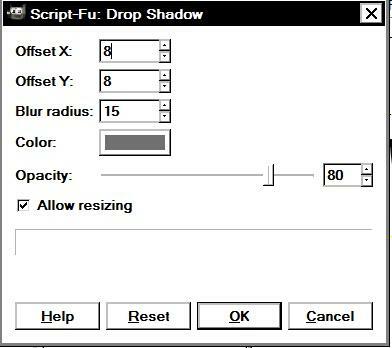 Press “OK” to create the drop shadow. 5. You can fur ther make it appear as if the text is standing up on the page by shearing the drop shadow layer using the shear tool. In the shear tool window, set the “Shear Magnitude X” to -60 or greater. 6. 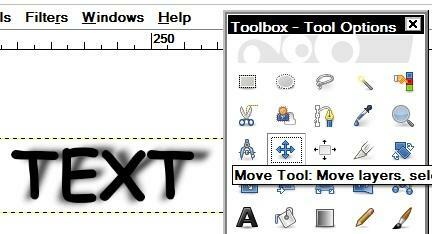 Move the drop shadow slightly to the right, using the move tool, which looks like a four sided arrow in the tool box. When you center the base of the droop shadow at the base of the text, it will appear as if the text is rising off the page.